Louisiana State Penitentiary "Angola", The Louisiana State Women's facility, and Avoyelles Parish. This most recent trip to Louisiana was very exciting. I was accompanied by my friend and Country music artist, Marty Raybon. Marty and I spent three days at three different state prison facilities. I was able to teach the men and women at both Angola and the women's state facility who are involved in the seminary program. I have had the opportunity to teach and preach in these three prisons for the past few years and look forward to the time I get to spend with the inmates. Marty was along to share in both song (concerts) and testimony. We also had events at the Avoyelles Prison where we have been able to go for the past few years as well. The inmates are in desperate need of God's love and grace. I spend time counseling and encouraging as well as teaching and preaching. We have seen, on each occasions, salvation decisions and evidences of spiritual growth. God is doing something very special at these prison facilities and it is being replicated at other institutions around the country. The people of Mexico welcomed me with open arms. The trip was two weeks long, and packed with numerous events that included out door evangelistic crusades, a Word of Life Missions Conferences, and pastoral equipping. I was able to teach, preach and equip daily. We saw hundreds get saved and many many more make decisions to take the gospel to the hurting, lost and broken of Mexico. I was encouraged after meeting with Word of Life staff and students, about the possibility of CitiVision being a part of training pastors and missionaries to help them plant churches. This is something that we will be in prayer about and Lord willing, can be added to the list of ways CitiVision would like to equip people to reach their cities with the gospel. I have been teaching an evangelism training model for years and it is this training model would be utilized to facilitate the much needed process for church planting. Preaching to a large crowd in Mexico. Word of Life, Mexico (Palabra De Vida, Mexico). Prayer Request: Upcoming Leadership Evangelism Training. Copyright © 2014 CitiVision, All rights reserved. The Sexual and Human Trafficking problem is a world wide problem. There are more than 29 million people who are enslaved today. The risks for women and children are enormous and the problem often seems bigger than us. We cannot turn a blind eye and want to help. There was a small team who joined us in China after visiting safe houses in Bangkok, with W.A.R International, the previous week. Our team met up with the director of three safe houses in China. She has been working there with her family for the last ten years and shared with us her remarkable story. When she first arrived in China, she asked God for direction on where to go. She strongly felt that she was being told to go and stand in the gap and show the "motherly love" to the girls in the red light district. Once a week, she and her friend would walk the streets and go in and talk with the girls and show them the love of Christ. One day, she was asked by a boss of a brothel to come inside because he wanted to speak with her. He explained he has been asking himself why are these women not afraid to come here and boldly come into this dangerous environment? Then he began to share with her about how he had a dream about her and her friend. They were walking and there was a very large, white figure, with wings that spread from one side of the street to the other. He asked, "who is this being who protects you?" She quickly responded that it was the Angel of the Lord. The Angel of the Lord encamps around those who fear Him(Psalm 34:7) He eventually accepted Christ and left the brothel. From then on she has had open doors and has helped to rescue, into safe houses, over three hundred young women and their children. The women are given a safe place to live and schooling is provided for their children. The women make hand made jewelry and sell it to support themselves. Vicky and I have both wanted to visit China for many years. It was so wonderful to be able to share this experience together. We walked the great wall of China and soaked in the history, including some very sad stories of how the wall was built. I will be preaching at the Church at the Gateway, Staten Island, New York, this coming Sunday. Visit the Church At the Gateway Website for service times. Empire builders or Kingdom builders? Louisiana State Penitentiary & Avoyelles Correctional Facility. CitiVision is looking to hire a personal assistant to work with me here in the NYC office. CitiVision is also actively looking to hire an IT/graphics/media related staff member. Vicky and I want to thank every one of our faithful partners for your prayers and support. It was because of your generous end of the year gifts that we were able to end 2012 debt free and accomplish so much. It also allowed us to move forward in the first quarter of 2013 with the funds needed to travel and serve. This was a huge answer to prayer. Your generous financial support not only allows us to bring the gospel to the lost, but to train and equip leaders & pastors to reach their city or village with the gospel. We are excited to bring to you this most recent prayer letter update. We know that it is God and God alone who goes before us and opens doors. We are his servants and want to show love and kindness to a world who is in need of the love of Christ. Partnering with other organizations that are already established and working in the area has been a key strategy for accomplishing the mission of CitiVision. Vicky and I were handed an open door with TCON (The Children of the Nile) and we are excited about future ministry trips. TCON, founded by David & Mark McPherson, in 2005 was originally trying to help orphans, but quickly found out that helping the widows who care for the children was more efficient and effective. They have been distributing seeds to the widows who each care for be five to seven children. Each bag of corn seed will reproduce 400 percent and will provide $1,000 dollars of annual income. These widows live on 15 cents a day; this is a dangerous poverty level, which amounts to $50 dollars per year. These women are helping to change the face of poverty in their region. The partnership plan is that I will be sharing the gospel with the women who come to receive their seed donations. We recently ministered to 3400 widows over the course of three days. We distributed seeds and shared the gospel with them. Vicky and I were welcomed with open arms and never have experienced such an outpouring of joy and love as we received from these women. The poverty and devastation is everywhere. TCON will meet the physical need and CitiVision will meet the spiritual need. Below is a link to a TCON video of the most recent seed distribution trip that Vicky and I were a part of. One of the main reasons we went to Uganda was to spread the gospel and to connect these widows and children with pastors and leaders who can support them as they grow in their faith. We had two days of seed distribution and meetings. On the first day there were 1400 widows in attendance and between 500-700 widows prayed to accept Christ into their lives. On the other day there were 2000 in attendance with around 1000 decisions made to accept Christ. Vicky and I were overwhelmed at the response and praise God for allowing us to be a part of it. The other part of our trip was to host a Pastors Vision-Passion conference for the 406 pastors and 100 leaders from the surrounding towns and villages. CitiVision, through the generous donation, was able to bring 500 Bibles to distribute to each pastor in attendance. Most of these pastors have not had their own Bibles and rejoiced to receive a study Bible like this. The word of God is very precious to them and they were praising God as they received their Bibles. It was a beautiful example of how precious the word of God is to them. I preached for many hours and they still wanted more. The greatest need is for them to have training materials and manuals which we hope to make available this year. Each year on the last week of January, several hundred pastors and leaders gather together for a three day meeting called the Concerts of Prayer Summit. I had just landed in NYC the day before and was still adjusting to the time changes from my trip to Uganda. Nothing could have been more refreshing than those three days of prayer with other pastors and leaders from New York City. During my time at the Concert of Prayer, Mac Pier, who is the founder of both the Concerts of Prayer Greater NY, and the New York Leadership Center, asked me to join a Committee of over forty national leaders. This team will meet for the next couple of years to plan for a large event for global leaders being held in NYC in 2016. The Pastors and Leaders had a meeting last week held at the American Bible Society. It was during this meeting that I felt God answered two specific prayer requests in our ministry. While at the meeting last week I connected with the President of a very large Christian Camping organization. He expressed interest in the camp and visited the CitiVision camp property. Our prayer is that this property will go to an organization with a similar vision and mission. This would be a huge answer to prayer! I also met the president of Prison Fellowship and connected with him about how we can share the Angola Revival videos that contain information on all that has been going on at Angola Prison. The videos also contain teaching and training by John MacArthur and me, to the men in the seminary program at Angola (Louisiana State Penitentiary). We hope to be able to get a copy of the videos to Prison Chaplain’s in the USA. I will be meeting with donors and leaders to share the Vision of CitiVision. Feb 22-26th Colorado meet with David & Tammy McPherson (Tcon founding President) and their families. If you would like to make a donation to the ministry, please make your check payable to CitiVision. All donations are tax deductible. 1. We are in great need of a staff member who can help to format the training and teaching materials into manuals for pastors and leaders who need them. 2. God would help us pass the torch of our camp property to a ministry with a similar mission and Vision. 3. Adding monthly financial supporters who want to accomplish our vision. We are actively involved in Equipping and Empowering of Pastors & Leaders to teach and preach the gospel. We are also passionate about bringing the gospel to the lost. 4. Transformation Life Center is looking to hire a new Director. Pray that God would bring the perfect man for the job to NY, and that he would have a passion for transforming the lives of the recovering addicts, through the power of the gospel. I am blessed and honored to share with you the CitiVision Year end newsletter. My prayer is that you will read it with eyes of faith and celebrate what has been, and what Lord willing will be. Our theme this year is Vision. I want to start out this year by praising God for each and every one of you who we call partners in ministry. Thank you for your love and support. Vicky and I are overwhelmed by the strength and encouragement we receive from knowing that we have so many wonderful churches and brothers and sisters in Christ supporting the mission and ministry of CitiVision. Giving Glory to God for Visions that become realities. 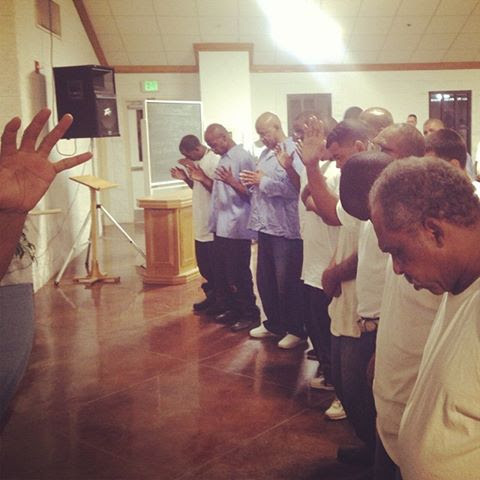 Transformation Life Center has been transforming the lives of men for the past thirty years. The Vision was cast around ten years ago to start a Women's Recovery House. We want to celebrate that this year Transformation Life Center purchased a piece of property from CitiVision, which will become the Women's Recovery House, and will be the fulfillment of this ten year long vision into reality. All the money was raised that was needed to purchase the property through the very generous donations of people moved by God, to support this ministry. We are thrilled to see this vision become a reality! Louisiana State Prison (Angola) Revival. CitiVision has produced and just finished mailing 1,000 copies of the Angola Prison Revival series to the Prison Fellowship Ministries. CitiVision has partnered with Prison Fellowship to distribute the 1,000 copies to Prison Fellowship Chaplains all across the Unites States This 4 disc DVD series, documents God's power, through the establishment of the New Orleans Baptist Theological Seminary, to transform a Prison from the bloodiest to the safest in America. It also provides inmate testimonies and training tools for transformation. Vision to Equip and Empower men and women around the world to reach their cities with the gospel. This past year, we visited Uganda twice through our partnership with TCON (The children of the Nile). TCON is a ministry that empowers widows to receive and plant seeds so that they can become self supporting. On average each widow cares for between 5-7 orphans. We were able to distribute seed to over 3400 women and saw more than a thousand of them receive Christ as their savior during one of the conferences that CitiVision held. We also held a pastors conference with 506 pastors and leaders. We distributed a brand new Bible to each pastor, in their own dialect and were able to connect the pastors with widows from their areas to learn to work together. We also worked with TCON during their soccer camp week, ministering the gospel to over 300 teenage girls, 37 of these girls trusted Christ as personal Savior. I was able to continue to serve in teaching and preaching the gospel and training leaders here in America as well. The list of Churches both locally and around the country where I have been invited this year to motivate, train and equip is lengthy. I cannot, for the sake of time, list each Church or ministry event. Just know that this is where my my passion lies and this is what occupies most of my time throughout the year. I never let an opportunity slip by at these events, so there is always an invitation for salvation as well as a call to take a stand and make a commitment to sharing the gospel. We partnered with Hellenic ministries on project Operation Joshua 6 this past July. It it was a tremendous success. We distributed, house to house, 126,000 Bibles in over 500 villages. In November, I went back to Greece, to speak at The Pastors Refresh conference, held in Athens. We had over a hundred pastors and their wives in attendance. It was a tremendous time of encouragement, unity and refreshment. I was invited to preach, in Greek, at one of the largest evangelical churches in Athens. During the invitation, 15 people responded to the gospel and trusted Christ as personal Savior. There were over a 100 believers who rededicated their lives to Christ. We had a great time of revival and experienced the presence and power of God in a dynamic way. Pastor George Patsaouras and his wife shared with me their desire to have me come and preach the gospel to a broader audience. We began to pray and plan an evangelist crusade to reach the lost in Athens and Thessaloniki in 2014. Recently, in November, I was honored by the people of Manhattan Bible Church with a new title, Pastor Emeritus, for the 40 years of ministry in NYC. I spent that Sunday afternoon listening to stories by many of the pastors, teachers, friends and family who were with me at MBC in the early years. It was an honor that I was not expecting and truly a blessing to hear the stories of how God was able to take me from a drug addicted, troubled teen, and transform me, through the power of the gospel, into someone who could be used to impact the lives of others. I shared with the group who had gathered, that in retrospect, anything that was a God idea, worked. Everything that was a Tom idea, did not. I share this to encourage you not to fear attempting to do great things for God. If you are willing to let him mold and use you He will. Share your faith and don't be afraid to make a few mistakes along the way. God can and will use it for His glory. We can plan all we want, but only God can open doors. Whenever I am starting a new year I take a few weeks to seek God and pray with Vicky and look at what doors are open and which doors appear to be closing. January is a month where we will be ministering to local churches in NYC. We will end the month at a Prayer Summit with 350 pastors from NY, Connecticut and NJ. Luis Palau and A.R Bernard will be the speakers for the summit this year. For the month of December, my focus is to preach the gospel, throughout NYC, and in our ministry events that have been planned. Join with me in prayer for the events listed below. Several hundred children who's parents are incarcerated, will come and have a Christmas dinner, receive presents and hear the gospel. Hundreds of family members will come to Manhattan Christian Academy to hear the concert and gospel message. A wonderful time of sharing the gospel, giving presents and providing a sit down meal for the homeless. Pray that Church members would invite unsaved friends and family to hear the Christmas message. Pray as Manhattan Bible Church gives Christmas presents to the men in the program who are not with their families during the holidays. Please consider making an end of year donation to CitiVision. We are aware it is a sacrifice above and beyond a tithe to donate to a ministry like CitiVision. Please prayerfully consider if you would be able to make a one time end of year donation or if you would like to become a monthly partner. Donations can be mailed to the CitiVision office and are tax deductible. On the most recent trip to teach and preach at Angola, the team consisted of four men including myself. Pastor Hayes Wicker, senior pastor of First Baptist Church of Naples,Ed Burnham, a business man and former CitiVision board member, and Steve Young, businessman and now Director of House of Hope, first Baptist Merritt Island. We spent our days ministering to inmates and training pastor/inmates in the seminary program. We had many opportunities to see God working in the lives of these men, most of whom will die behind those prison walls. There were three dozen men who trusted Christ as personal savior and will be connected with the pastor/inmates for further discipleship. Eleven inmates consecrated themselves to become pastors and preachers and attend the four year Bible program. I was invited back for what, Lord willing, will be a three day evangelistic music concert event called "Gospel Fest", to be held tentatively sometime in early April 2014. It is always a pleasure to work with the gifted men and women chaplains who know these inmates so well and it has been a blessing to form a bond with these forgotten men who society has written off. I look forward to visiting Angola in the future and count it a blessing to be invited back over and over again. Thank you for your prayers and financial support of the Ministry of CitiVision. Without your prayer and donations none of these events would be possible. CitiVision and Transformation Life Center will be partnering in December for an event that will reach the city of Newburgh, NY called "Love Newburgh"
We will be working with the Mayor and connecting hundreds of pastors to meet physical, emotional and spiritual needs of the 3600 families invited. Please pray that all the pieces of this puzzle come together and we are able to unite as Churches and ministries to "Love Newburgh"